Every time I go to the store granola is one of the most expensive cereals in the grocery store. If I look at the organic variety… hm… those are definitely not at my budget range. If you don’t regularly buy granola, making it from scratch isn’t the cheapest and most efficient thing to do but if you do… well… it is definitely a thing you could safe a few extra bucks on. I know that this reason is not always the biggest one as many people still can afford buying as much granola as they want. Making it from scratch gives you the freedom of making it the way you like it with the ingredients you like and I think, that’s a really good reason to start making it at home. 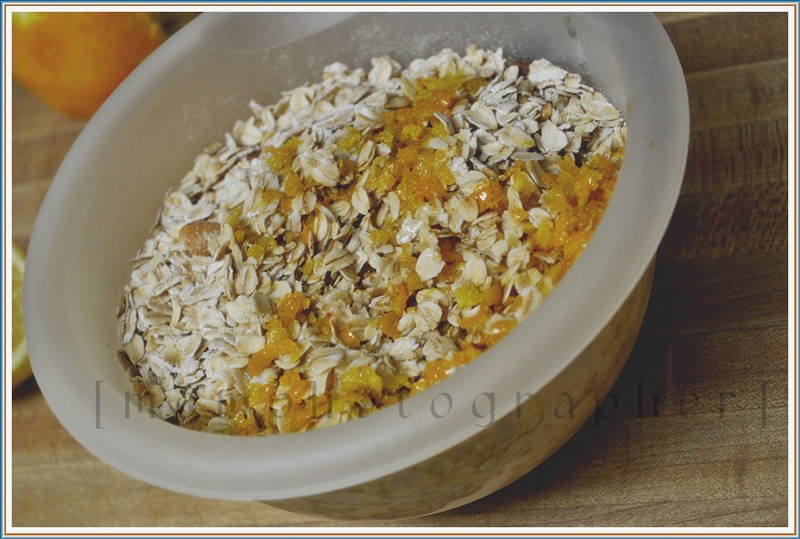 Like orange zest (LIKE ME!) ? Grate some and use it for your granola. Like it very sweet? Add an extra table-spoon of brown sugar or honey. One of the most important reason for me to make my own granola is the list of ingredients listed on the commercial made boxes. Yes, I am a label reader. That’s why, for example, I have never bought bread crumbs. I simply bake a french bread and after three days I blend it, put it in a glass jar and store in the fridge. Works perfect! There is plenty of homemade granola recipes to try on Internet. When I made it for the first time I used article from USA Weekend. It gave me the basic information about making it at home. For the granola I made yesterday I didn’t have to buy anything. I had every single ingredient at the house already. We always have raisins and some mix trail for snacking. Brown sugar, cinnamon, honey, oats and fruits are “must have” in this household. The peanuts I used were from my mix trail. I simply sorted out the nuts from the rest of the mix trail. Prepare the orange and lemon zest. Crush peanuts. 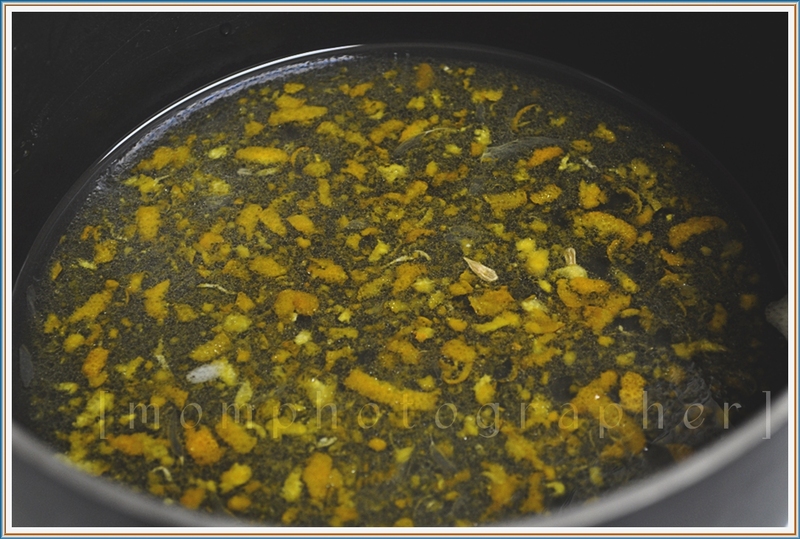 In small pot over low heat mix the coconut oil, honey, water, lemon juice, zests. Mix the oats with brown sugar and cinnamon. Pour the wet mixture over it and mix it all really well. Pour mixture onto prepared baking sheet. I line my with aluminum foil and spray it with baking spray. Bake it in 275 F for 30 minutes ( 40 minutes if you want it more crunchy). 10 or 15 minutes before it’s done add raisins. Put it back to the oven. 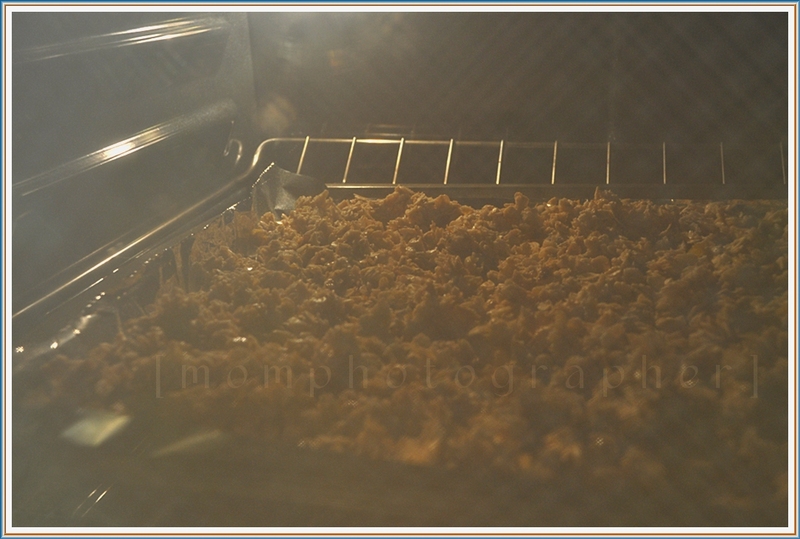 Enjoy your tea while your granola is cooling down after done baking. That looks great! I never buy granola because it does cost SO much! It just isn’t something that I can afford. I love it though, and I love making my own granola bars. I am going to have to try this recipe! That is great, thank you! Yum! Home made granola is the best. Adding a bit of citrus is a great idea. Thanks for sharing! yumm! I wouldn’t think of buying the store granola here because it’s expensive and loaded with fat! 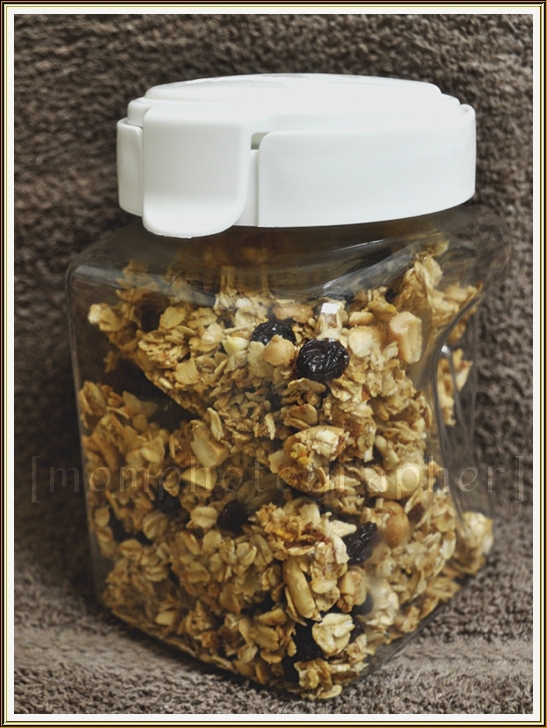 I make instant granola for my kids in a teflon frying pan with just a bit of oil and either date syrup or honey. It’s great and for them a real treat! 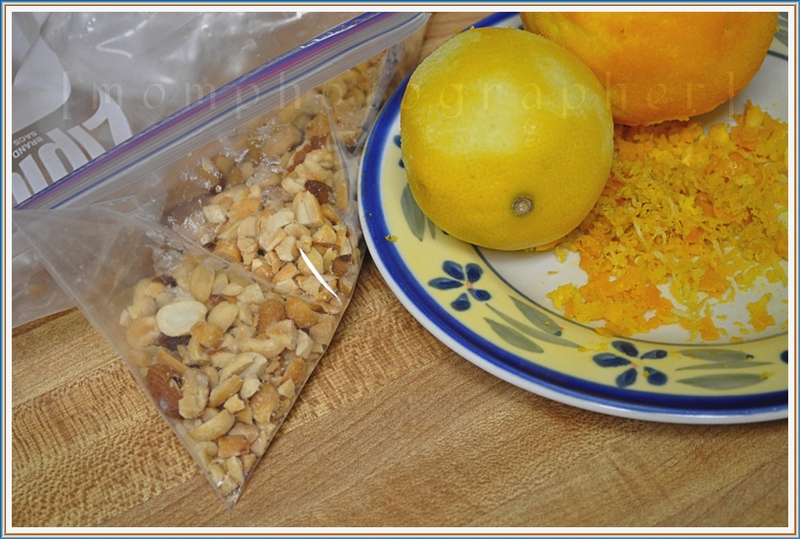 thanks so much for sharing your recipe on craft Schooling Sunday, love the zest!